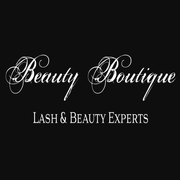 Beauty Boutique Los Angeles - Beauty Boutique Los Angeles is your eye lash extension and skin care expert. Located in Studio City, we serve people all over LA; Beverly Hills, Malibu, Hollywood, West Hollywood. Beauty Boutique Los Angeles is your eye lash extension and skin care expert. Located in Studio City, we serve people all over LA; Beverly Hills, Malibu, Hollywood, West Hollywood.